You probably had a tedious day with meetings after meetings, mails after mails, frequent phone calls, and all the stressful chores a CEO or a Manager has to go through. At the end of it, you’re fatigued and prefer to go to your sanctum and relax. As much as you want a peaceful time, don’t you deserve better? Like having to unwind on the world’s best recliner? That’s when a Stressless recliner comes to the picture. This recliner is at its pinnacle to give you undeniable comfort and unparalleled support from head to toe ushering you a Stressless every day. Here are 10 recliners that give you endless comfort or let’s just say to make you Stressless. 1. 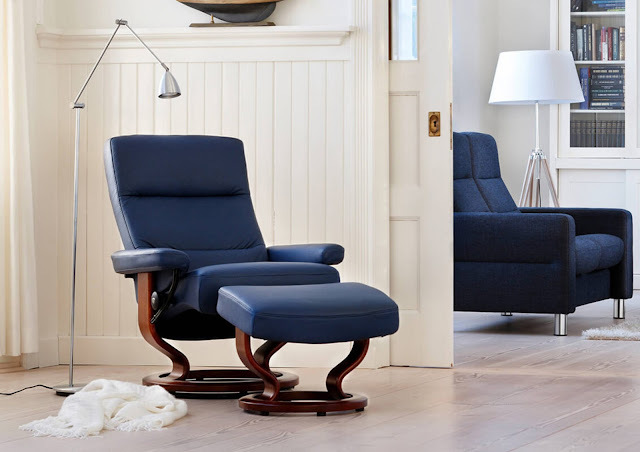 For those who appreciate simple and minimal, Stressless Atlantic is an apt recliner. The adapting lumbar support and tilting ottoman will allow you to recline and lay back whilst still receiving that positive body support. It ensures consistent head, neck and back support and includes soft, understated cushioning. The horizontal creased, rectangular back heightens both the chair's profile and comfort. 2. 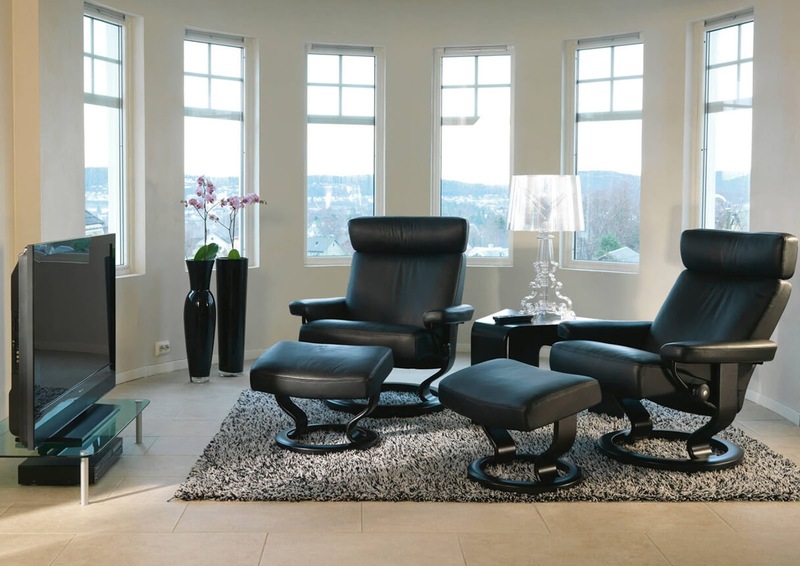 The sleek back of the Stressless View makes it a favourite recliner for those who like to stretch out. It has an elegant and comfortable neck support, which can be adapted to users of a various heights. The soft padding and a timeless and modern cushion design with clean lines makes it a desirable chair. The chair’s backrest and seat automatically adjust to the movement of the body. 3. Along with its characteristic and innovative Scandinavian design, the Stressless Voyager has a lot more to offer. The patented Glide system reacts to slight shifts in body movement. It has a tapering headrest, which slims down its overall profile and comes with an amply padded ottoman. The soft cushioning feels sumptuous and luxurious as you relax, while it embraces and supports your body. This means you never have to hold tension in your body, like you would in many other recliners. Your head, neck, and shoulders are supported well by the Stressless Voyager Chair's headrest. The headrest moves with the chair to keep your head supported in a reading position with your neck muscles relaxed. As an alternative, you can drop the headrest if you'd like to lie almost fully flat. The Plus system within the chair controls lumbar region support, so that whenever you need it, the chair moves to support your lower back. 4. With soft contours and plush cushioning, the Stressless Vegas collection is truly opulent. Coupled with a full 360° swivel feature and adjustable headrest, the Stressless Vegas recliner delivers superior support and unprecedented comfort. The Plus system responds to your body’s slightest movement and supporting the lumbar region of your back. The high, padded headrest easily adjusts to accommodate your neck. Relax your entire body with the matching adjustable ottoman to support your legs and feet. 5. What makes this recliner so special, is the shape of the seat and back, which literally envelops you and gives your body support in all the right places. 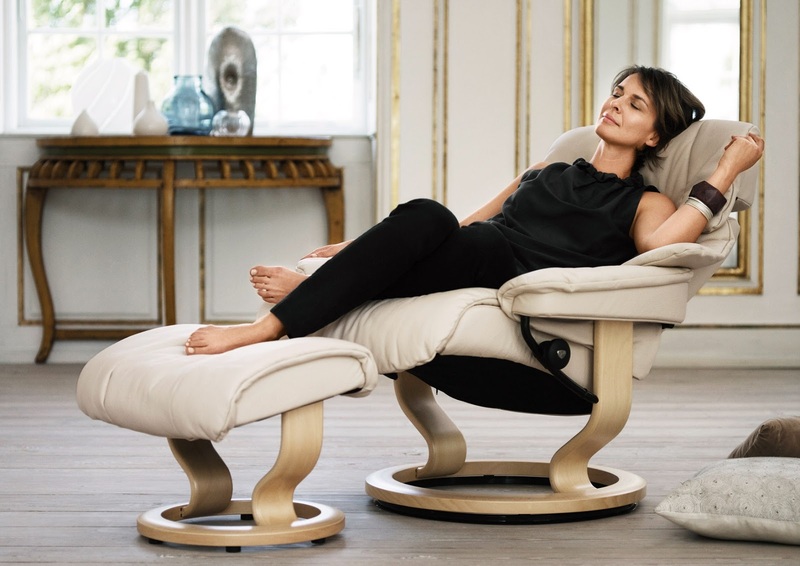 In addition, luxe cushioning, an adjustable headrest and meticulously sculpted proportions make the Stressless Magic amongst our most comfortable recliners. 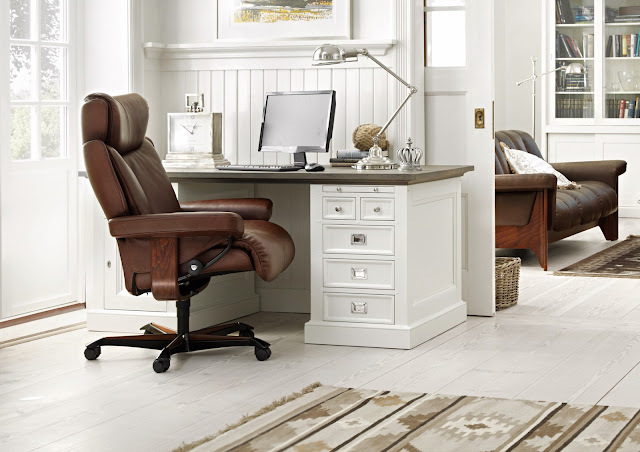 Employing the Stressless patented Glide®, and Plus® systems, Magic responds to your body’s slightest movement. 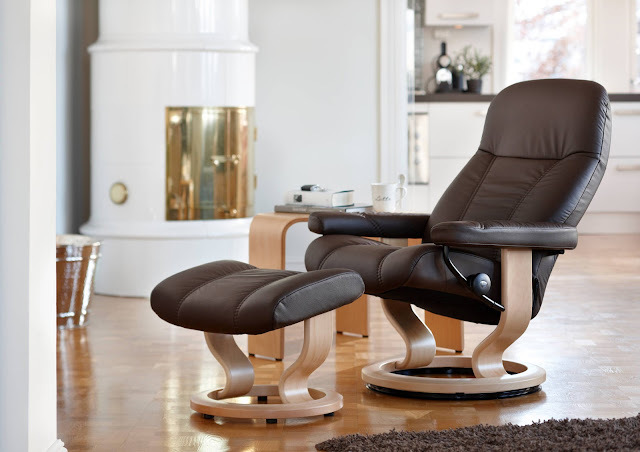 The Stressless Magic delivers superior support and unprecedented comfort. 6. 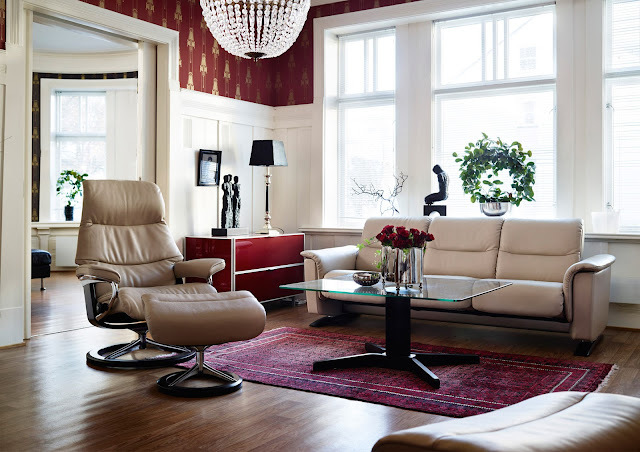 Comfort and elegance blend to make a bold statement in the Stressless Metro. A sharp contour, chrome details and high grade leather makes Metro a bold, self-assured design statement. The rotating Star base gives you even more movability, and the adjustable pillow provides optimal neck support. Now you don’t need an excuse to linger longer in your home office or workplace. 7. 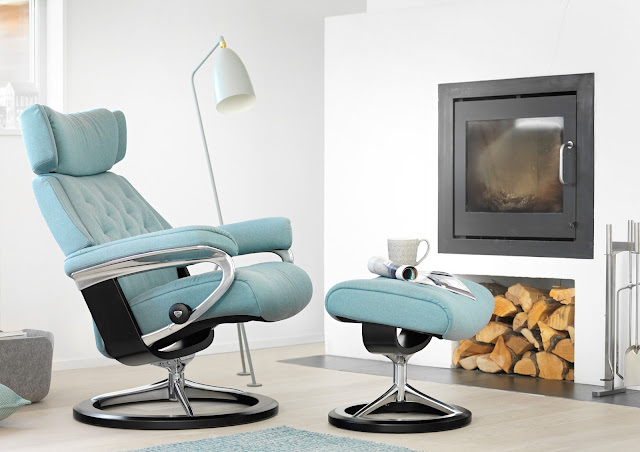 This retro-inspired yet modern pillow design Stressless Skyline recliner gives it an affinity to any setting. The new BalanceAdapt™ system gives you instant comfort from the moment you sit down in the chair, and makes the chair respond to every movement you make - offering perfect balance. The subtle and soft rocking movement increases comfort in all positions and allows you to recline the chair even further back in the sleeping position. The neck support is adjustable up to 10 cm to suit users who are tall. Apart from its distinctive looks, it rotates a full 360° and is available in two heights. The base combines classic wood with polished aluminium. 8. Stressless Consul is people’s favourite. It has a traditional design with luxury and refined looks. 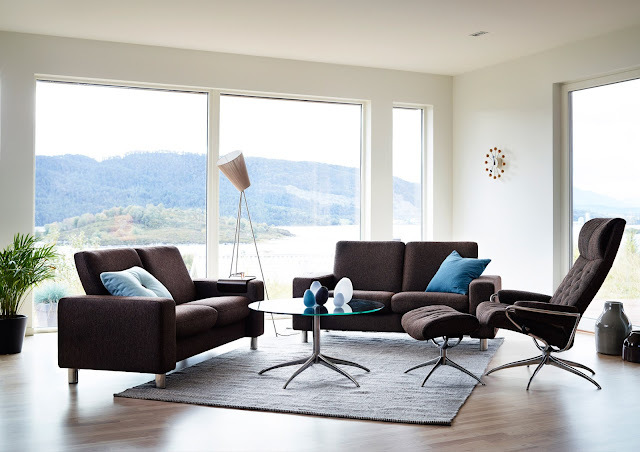 It epitomizes the very essence of Stressless with simple lines, effortless Scandinavian styling and incomparable comfort. It has a full 360° swivel feature with the patented Glide system, the Consul responds to, and works with the motion of your body to give unmatched support and superior comfort. 9. 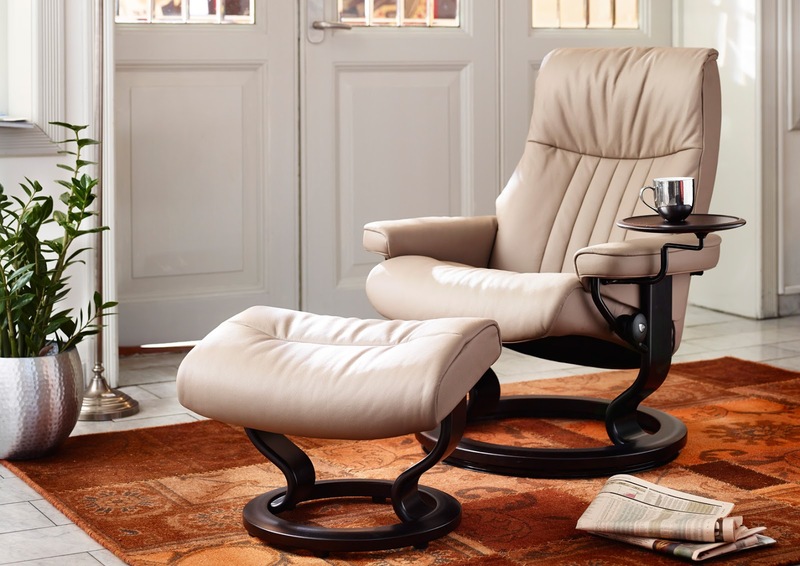 The Stressless Crown has a traditional look which it shares from the legendary Stressless Royal from 1981. Its characteristic tub shape provides truly unique sitting comfort. True to tradition, this chair is fitted with time glass-shaped legs in solid wood. The meticulously designed patented Plus system, provides perfect support for the lower back and neck in all positions. The innovative Glide system follows the movement of your body and adjusts based on your weight and positioning. The footstool adds to give ultimate comfort. 10. The look of the Orion Stressless Chair is classic and futuristic at the same time. 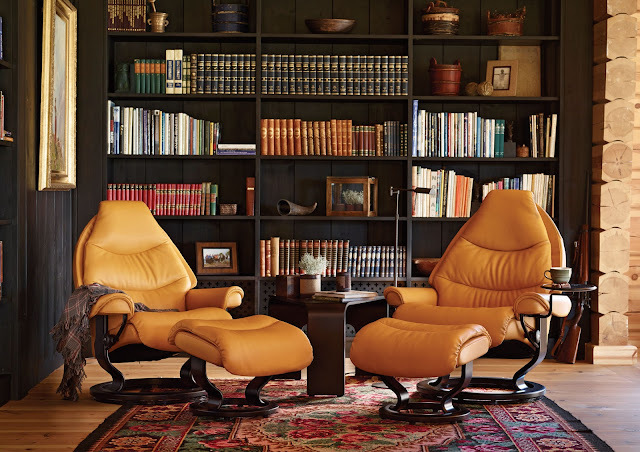 The Orion is special among its fellow Stressless chairs in its wide-backed, smooth seat. It offers all the same ergonomic excellence, comfort and support, but does it in a more stylish, undeniably cool mode. For those that like a pillow on the firmer side, this one is for you. This model, while smooth and refined, conceals its comfort and thick padding. The height adjusting headrest means you can raise or lower the headrest to accommodate users of varying heights and to ensure you have the head support in exactly the right place. This design is perfect for the minimalist and the comfort-seeker alike. You’ll discover the Plus™ and Glide systems responding to your body’s movement and adjusting to provide optimal support. An adjustable headrest and ottoman means your whole body is supported as you sit. This chic recliner offers firm support and a clean design continuing the tradition of optimal comfort and aesthetic appeal. The best thing about Stressless is that, you can get your recliner personalized on factors like material, size and height. Now with so many good things about this recliner, we don’t see why you can’t make it yours. We see it often. A customer wants to pick the perfect sofa, but end up thoroughly confused, and unsure on how to shortlist their favourites. Help is at hand. Here are 10 popular sofas that combine sophisticated style and comfort to suit just about any decor. 1. 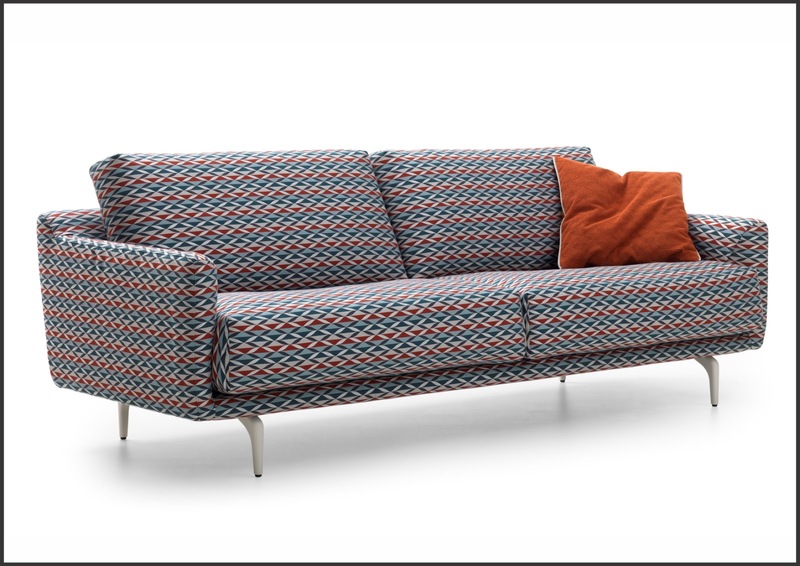 Newman: Simple and uncomplicated, this Koinor sofa looks charming at first glance and convincing at second. The upholstered leather along with decorative seams that emphasize the contours makes it an exceptional piece. 2. 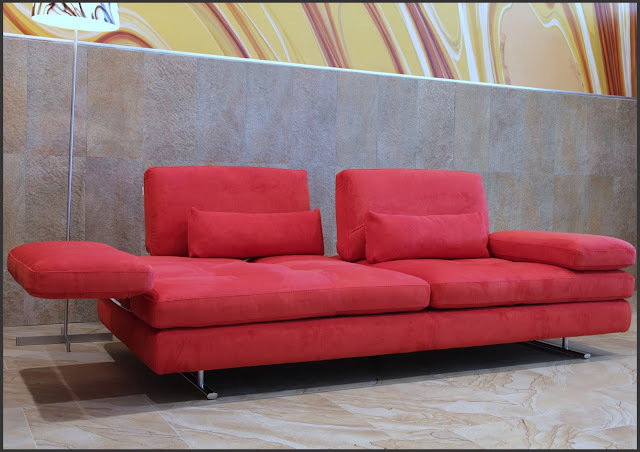 Azzurro: This two seater has a patterned design which makes it the most prominent furniture in your living. Azzurro is loaded with detail and comfort. For those who like armrests and distinct design, this Leolux sofa is definitely for you. 3. Serena: This sofa is full of surprises and at the same time joyful to sit too. You can manually adjust the backrests and armrests to suit your body posture. 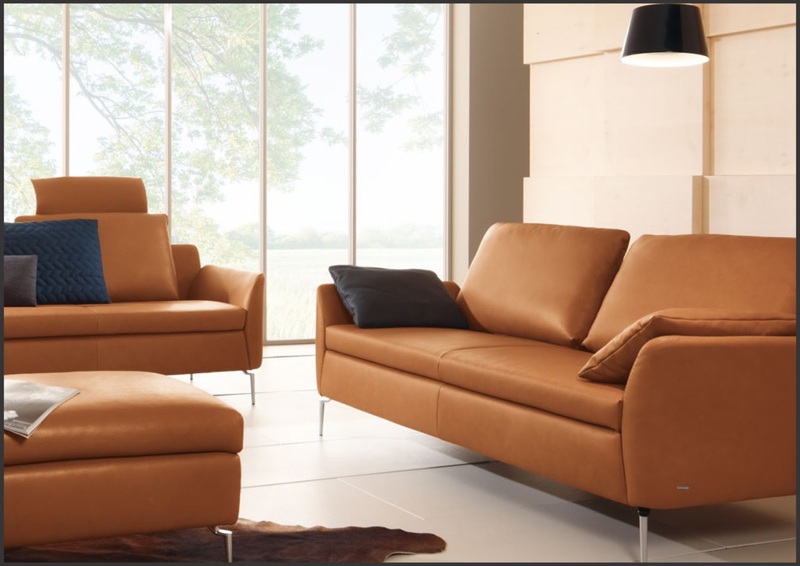 All the more it is trendy and is available in fabric and leather upholstery with option of colours. 4. Easy: This inviting Koinor sofa has soft upholstery and a compact form when it comes to backrests and armrests. The loose cushions make the sofa look chic and appealing. This sofa reclines with intent to provide a relaxing position or for your long awaited marathon movie time. Adjustable armrests and backrests are other features. Easy is available in sectional style too. 5. 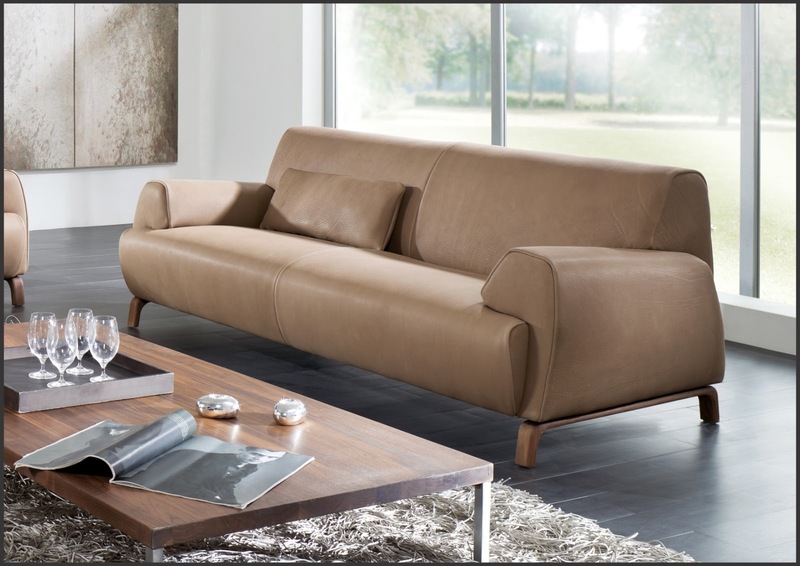 Fame: A contrast of classic and modern is what defines this Koinor sofa. It has an intricate design with an exceptional charm and noble look. It offers loose cushions, headrest and optional LED lighting making it a special sofa. 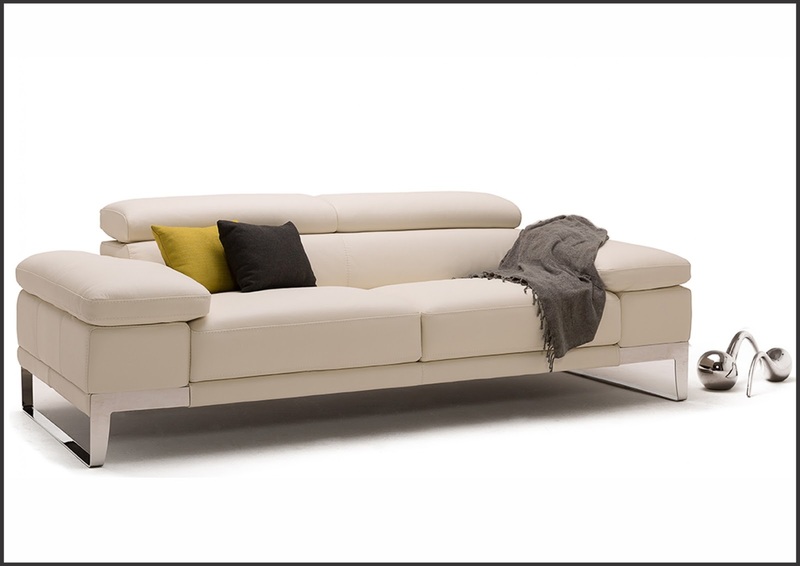 Fame is available in sectional style too. 6. Newton: Experience the soft side of this two seater and a balanced look that brings harmony to your space. 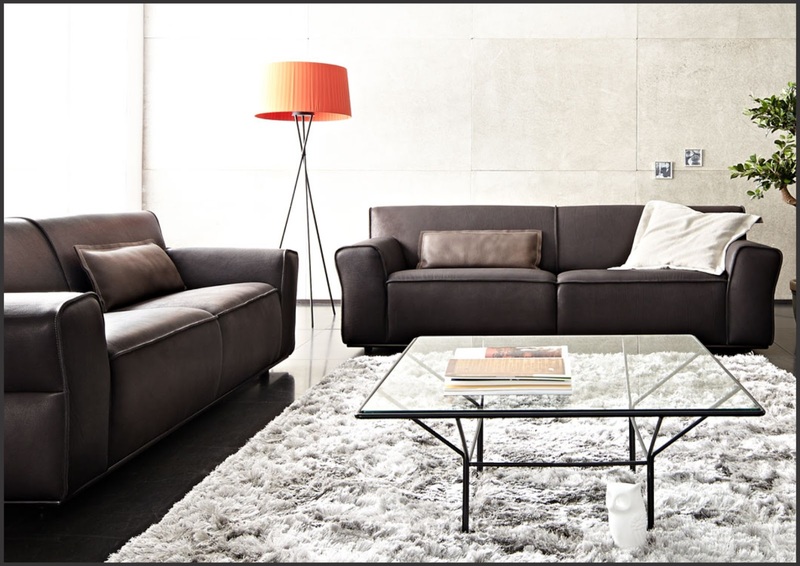 Simple and understated, the high quality material used in the sofa is available in various colours and materials. 7. Etoile: It is a modern open base sofa with an adjustable headrest. The softly proportioned lines and a simple metal foot detail extend and integrate elegantly into the armrest. Accentuated stitching and piping detail adds a touch of style. This sofa is available in single, double and sectional style. 8. Domus: What makes Domus exquisite is not a singular element, but a combination of design, simplicity and elegance. 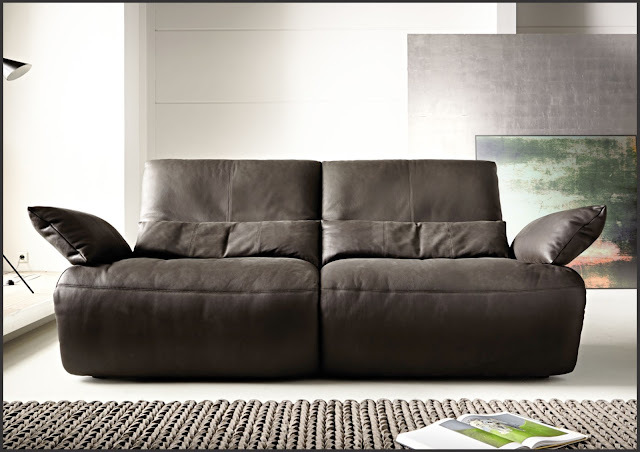 It features adjustable headrests and super sleep, ski legs fit for contemporary living rooms. The dynamic design, armrests and adjustable backrest to ensure maximum comfort. 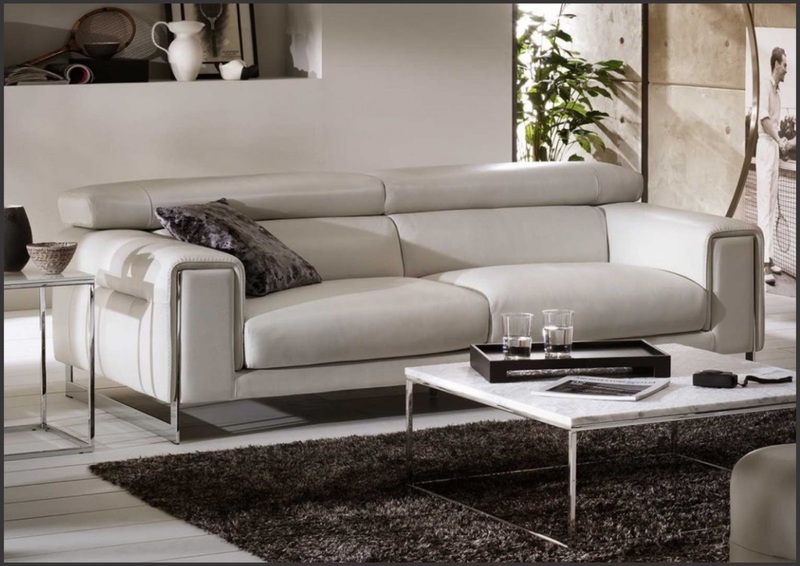 NicolettiHome’s Domus is available in sectional style too with a wide range of material and colour options. 9. Numo: This eye-catching Koinor sofa has cubist aesthetic that makes it a stylish addition to any living space. The yielding cushions make it just as comfortable too. Expressive character, striking seams and armrests which angle to the outside adds personality to this sofa. 10. 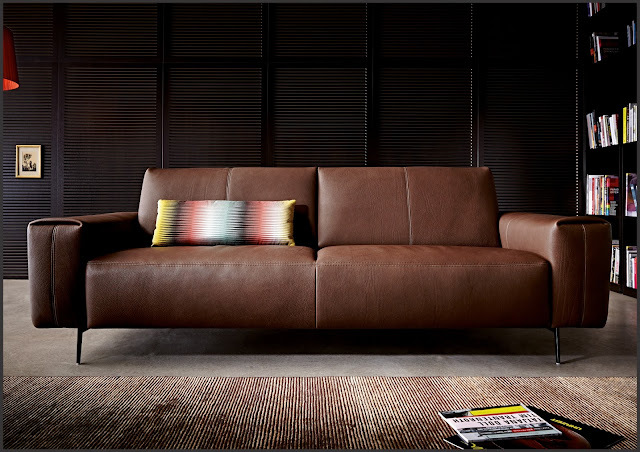 Ramon: This sleek designed Koinor sofa accentuates your living space making it a very interesting piece of furniture. Its clear lines and sense of lightness draws everyone's attention on it. The adjustable armrests and backrests with reclining option makes it a functional piece. The sofa is available in various colours, materials and LED lighting option. These models are just a fraction of the vast array available at our showrooms. Need more help picking? Perhaps our sofa buying guide would be useful. And of course, as always, feel free to get in touch with any questions - we're always happy to help.